These fully assembled 20.5 in. molded foam black church chairs are loaded with style and features to provide the best experience possible for your sanctuary seating. 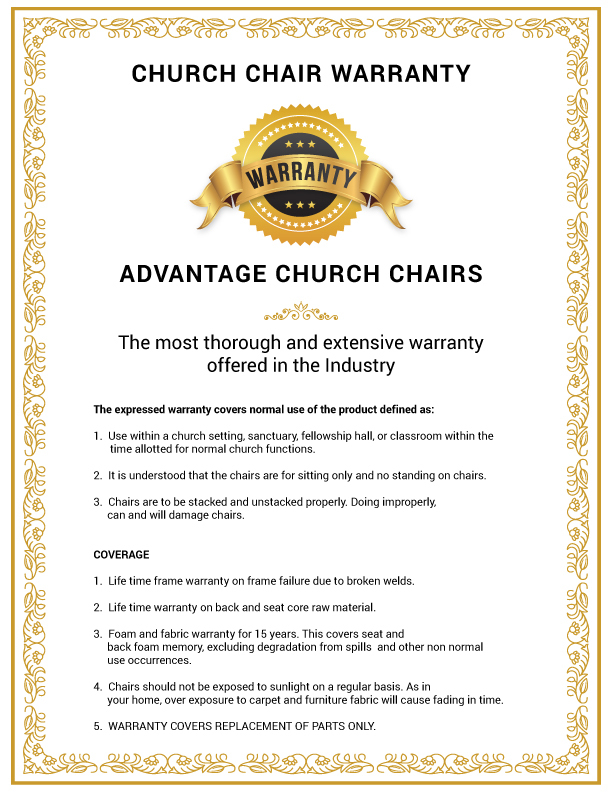 Each church chair features a 4 in. thick, 2 lb. density, 100 percent virgin, moisture resistant polyurethane molded cold cured foam seat and a liquid barrier fabric to provide protection against spills and help prevent stains. 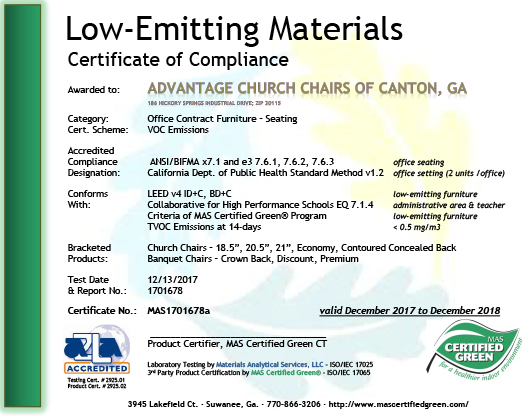 These church chairs include a 16 gauge silver vein powder coated steel frame with glides on each leg to protect floor surfaces, welded ganging devices for attaching chairs together in rows, T-NUT construction connecting seats and backs to frame (stronger than wood screws), and a durable plywood base for both seats and backs.